Iyinoluwa Samuel Aboyeji, cofounder, Flutterwave Inc. A payment technology firm that makes it easier for banks and businesses to process payments across Africa and worldwide. Co-founder, Andela, which identifies and develops Africa’s top software developers as high-performing engineering teams for companies worldwide. Co-founder, Bookneto.com, a social learning platform. 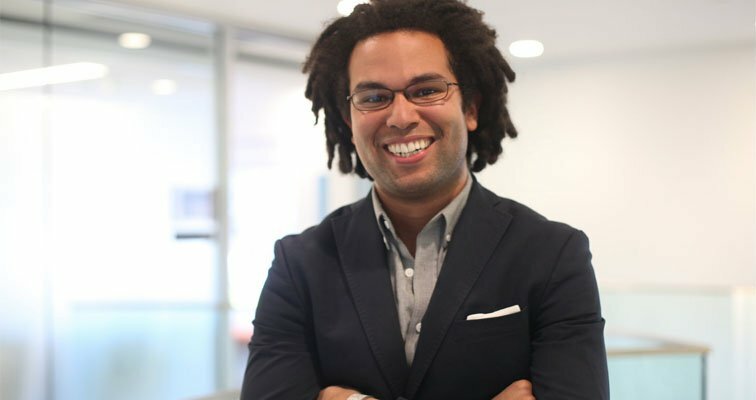 Co-founder, Fora, a distance-learning platform for professionals in Africa. Sheena Allen, founder, CapWay. A financial technology company that provides the access to financial education, tools and services to the underserved market of the unbanked, underbanked, and working poor millennials. CapWay offers relevant content, pre-paid cards, bank-issued debit cards, and more. Frank Baker, cofounder/managing partner, Siris Capital Group. A leading private equity firm focused on making control investments in data/telecommunications. Zeina Barr, founder, Raise The Barr. A human resources platform that uses an artificial intelligence chatbot to make diversity training more interactive and inclusive. Via the platform, employees in training at companies all over the world, including deaf and blind employees, can ask questions and be answered in colloquial language. Chris Bennett, CEO, Soldsie/cofounder, Black Founders. Soldsie helps merchants to sell products through their Instagram and Facebook feeds. Porter Braswell, CEO/cofounder, Jopwell. Jopwell uses algorithms to match Black, Latino/Hispanic and Native American students and professionals with job openings and internships. Companies such as Facebook, Pfizer, Pinterest and Verizon, as well as smaller companies, pay Jopwell’s annual subscription fee. Peter Boyce II, cofounder, Rough Draft Ventures. A student-led team that funds technology-focused university entrepreneurs in Boston, Massachusetts. As of December 2018, Rough Draft Ventures had made 70 investments. André Dominic Cropper Ph.D., author of five patents aand the mastermind behind the Flat Panel Display Touch Screen. Cropper’s US patent for a new Organic Light Emitting Diode (OLED) facilitated the development of flat panel displays, which are today used in most electronic devices from ATM machines, mobile phones, and flat-screen TVs to laptop computers. Shadrack Frimpong, founder, Cocoa360. With the $150,000 President’s Engagement Prize he won at the University of Pennsylvania, Frimpong started Cocoa360, pioneering the “farm-for-impact” model using revenues from community cocoa farms to fund educational and healthcare services. In less than 3 years, it has cared for 3,000 patients and currently educates 120 young girls. Jay Hammonds, VIP, Operations, Facebook. Hammonds leads tech initiatives for executives, including Mark Zuckerberg and Sheryl Sandberg. His program for underrepresented youth has brought on 150 interns to the company. Charles Hudson, managing partner, Precursor Ventures, an early-stage venture capital firm. Had stints at Google, was as an investor with In-Q-Tel (the CIA’s venture capital arm), founded gaming companies and was a partner with seed-stage investor SoftTechVC. He and friend Denmark West started the Searchlights Project, a series of interviews to spotlight African Americans thriving in high tech. Will Johnson, cofounder, Recharge, with college buddies Manny Bamfo and Christopher Lo. Recharge lets you pay per minute to use a hotel room to rest. It’s next release—allowing people to turn their apartment into a hotel room that can be rented during the day—has attracted a 70,000 person waitlist. Riley Jones and Amina Yamusah , cofounders, Bloc. Developed to reduce the unemployment rate for college graduates of color. With a proprietary smart resume template, resume reviewer and cover letter generator, Bloc’s website allows career coaches to be more impactful by using AI. Ariel Lopez and Janel Martinez, cofounders, 2020Shift. Focuses on ensuring that black and brown technologists are employed at some of the world’s biggest tech companies. Its recruiting platform, Knac, allows professionals to showcase their skills to employers through assessments and challenges, so that they can be hired solely on thw basis of their qualifications. Nohemie Mawaka, founder, Stats Congo. Created to help reduce the high mortality rate among mothers and their newborns in the Democratic Republic of Congo, Stats Congo helps Congolese hospitals to digitally collect data to monitor medical indicators linked to that high mortality rate. Hadiyah Mujhid, founder/ lead software developer, Playpen Labs; cofounder, Black Founders. Playpen Labs builds and launches software products using lean startup principles and agile development; helps other companies meet their business goals, whether its web development, designing onboarding experiences, or setting up new processes. Obi Omile Jr., cofounder, theCut, with high school best friend Kush Patel. A barbershop technology platform that allows users and barbers to schedule and manage appointments. Delane Parnell, founder, PlayVS. PlayVS makes a Web app used by U.S. schools to create e-sports teams and participate in state-sanctioned, competitive leagues. The app schedules matches, tracks player statistics, and auto-reports wins and losses. Henri Pierre-Jacques and Jarrid Tingle, cofounders, Harlem Capital, with Brandon Bryant and John Henry. A New York-based early-stage venture capital firm that aims to invest in 1,000 diverse founders over the next 20 years. Anthony Tucker, Principal, Troy Capital Partners. An early-stage technology venture capital fund that operates three distinct funds, including a recent $200 million investment vehicle. Tucker is also founder of Pitch Black, a Harvard-based hackathon that partners with NBA star Dwyane Wade, the City of Chicago and the Ford Foundation for work on social issues in Chicago’s inner city communities. Shanah Walton, Founder, Bitcoin Bombshell. A blog promoting diversity in the cryptocurrency world, highlighting people of color working on innovations in the eco-system. Stacie Whisonant, Founder/CEO, PYT (Pay Your Tuition) Funds Inc. A disruptor fintech platform that allows students to utilize crowdfunding to reduce the burden of their student loan debt. Bernard Worthy, Cofounder/CEO, Loanable. A crowding platform that helps users to create friends and family loans online and repay them with interest with auto-draft. Users of the Loanable system create accounts on its website, setting parameters such as how much they want to borrow, the repayment time period and the interest rate they’re willing to pay.